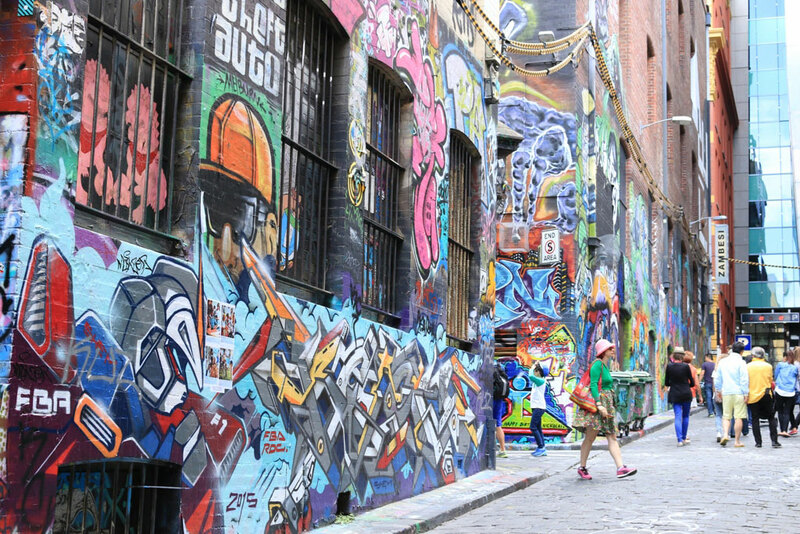 Australia’s second largest city Melbourne is internationally renowned for its diverse variety of street art. It has become an attraction for both locals and overseas visitors. Tourist will experience the creative ambience of Melbourne. During the 1970’s and 1980’s the city’s rebellious youth were influenced by New York’s graffiti, which later became a popular art form in the interior of Melbourne and along the tram lines and railways. The government in the city is taking a strong action against illegal graffiti and undertakes a number of measures to ensure that the city remains clean. In the 21st century, a different form of street art came to be known in the city, including the sticker art, wood-blocking, poster art, graphs, wheat-pasting and various other forms of street installations. There are several galleries in the City centre that have started to exhibit the street art. Hosier Lane is the most popular laneway in Melbourne for street art, however, there are much more in the inner city having a plethora of art.